Hope you're all doing well? I'm still home at the moment.. now with the addition of a cold-sore which is my classic run down symptom. I simply cannot stand the them and actually find I can deal with migraines a lot better. I've been meaning to post about this face mask, but I haven't got around to editing the pictures but I'm super excited to finally have this post ready. As you can see above this mask is a major winner for me and has even beat my Origins Drink Up Intensive Mask to first place. What is not to love about a Pink Face Mask Ha? I hope you enjoy this review and would love to hear from you in the comments section below. If you would like to get in contact a little quicker you can also use my social media icons to the right hand side. I feel like Origins seriously nail it when it comes to a lot of their skincare (for me) but especially their masks, which are well loved throughout the beauty world. Around Three weeks ago I headed to town for some much needed cocktails and retail therapy with my new blogging/work buddy Aislinn, who also blogs here. It’s actually quite funny how similar we are and we had a fab day lunching and shopping! Anyway, after sampling some new make-up we both ended up mooching around the gorgeous Origins counter at John Lewis where I found Origins latest offering ‘The Original Skin Mask’ I have a few masks at home, but definitely felt I had room to add a new one to my collection and the Original Skin Mask sounded right up my street. 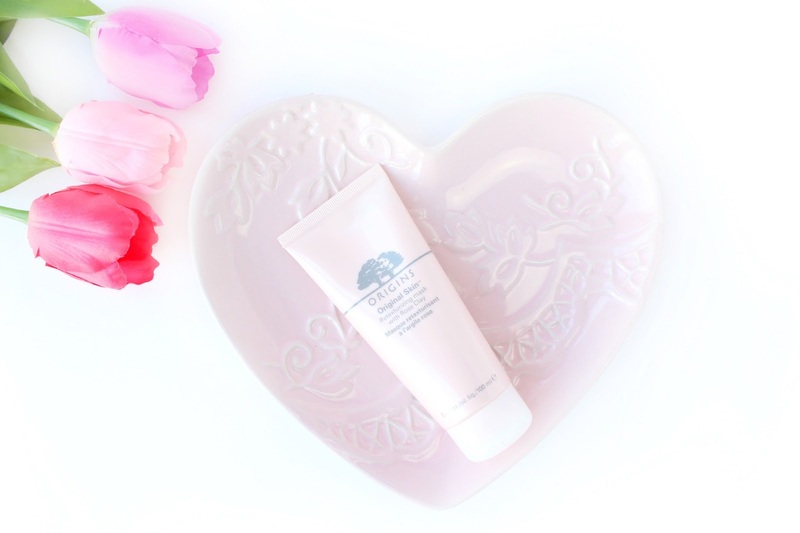 Mediterranean Rose Clay, Canadian Willow Herb and exfoliating Jojoba beads help to make this a multi-tasking retexturizing 2-in-1 mask perfect for getting your glow back and I love it. I was pretty much sold after the first use, but after taking more time to get used to this product it has settled into my collection very nicely. I love to apply this mask once a week either on a Friday/Saturday to really clear up my skin from the previous weeks makeup and general build up. When you apply to mask it goes on as a thick pink and slightly bobbly paste due to the jojoba beads, which then starts to slowly harden. After 10-15 minutes I splash my face and begin to loosen the mask and massage in circular motions to exfoliate my face. I love how quickly this mask loosens up and turns into a beautiful light and fluid formula, which is super easy to work with. If you love rose like myself then no doubt this will be a winner, but the rose scent is actually very subtle and not overpowering in the slightest. The most impressive thing about this mask is the way it leaves my skin straight after using it and in the morning too. It’s a really enjoyable mask to use anyway, but it’s always nice to see some good results too and with most Origins masks I’ve tried I have experienced positive results. The Original Skin mask leaves my pores dramatically minimised and the overall clarity of my skin is very noticeable immediately after use, which I think is amazing. I feel like this mask is something pretty special and at £23 it easily beats some more luxe masks I have tried with a retail price of 40+. This is a serious winner for me and if you're looking for visibly smoother and brighter skin I honestly couldn't recommend any other skincare product more! I have been majorly impressed with this mask and truly look forward to using it once/twice a week. I still adore my Origins Drink Up Intensive Mask which will always be a firm favourite, but I simply love seeing immediate results from the Original Skin 2-in-1 Mask and would recommend if you're looking to get your glow back. I would love to hear your thoughts in the comments section below - Will you be picking this up? Hope you are all doing well? So this is a little bit different to what I usually post... You know I love my beauty/make-up related posts, but this was a truly beautiful sight that I just had to share. 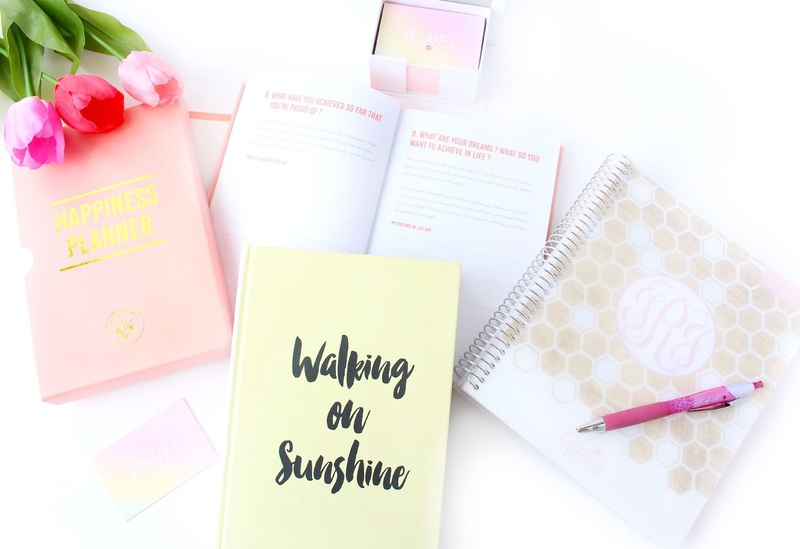 I really want my blog to be more 'lifestyle' So I thought why not have a little ramble ha ha? If you've read my recent posts you might already be aware that I'm not going through the best of times at the moment as I'm having severe bouts of chest pains and dizziness. I also don't tend to really post 'personal' posts, but I feel like the odd personal post here and there keeps things real.. and I like the thought of my readers knowing a little more about me.. rather than just what lipstick shade I'm currently loving. 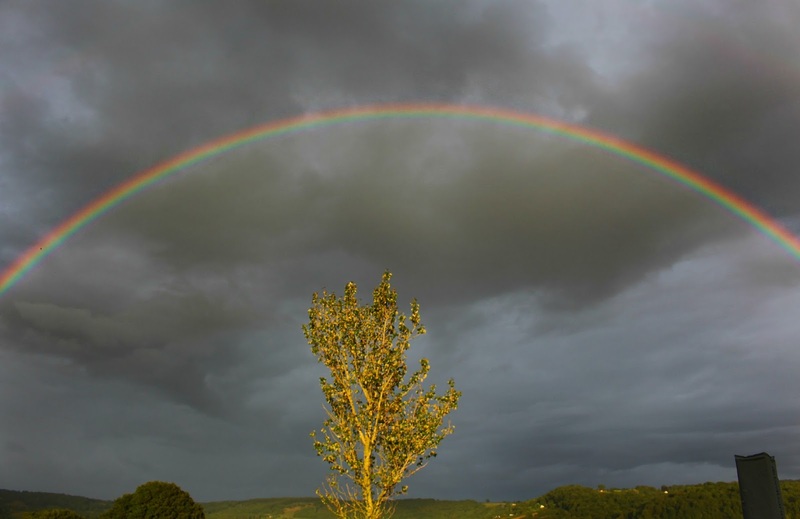 A few days ago I saw one of the most beautiful Rainbows and it totally changed my perspective from feeling down to feeling alive and grateful to experience such a beautiful sight. I feel that it's easy to get distracted by life and to totally forget about your own peace of mind. I find that I spend half my time busy bodying (is that even a word?) around to please other people, but really I'm neglecting myself in the process. I feel that as I'm getting (slightly) older I'm really starting to appreciate the smaller things in life like the beaming smile of my beautiful niece 'Honey Bea' I'm sure most of you know that I love my lux goodies, but even a new Louis Vuitton handbag can't solve all problems ha! Without going on some epic ramble I just wanted to share something truly beautiful that didn't cost a thing! 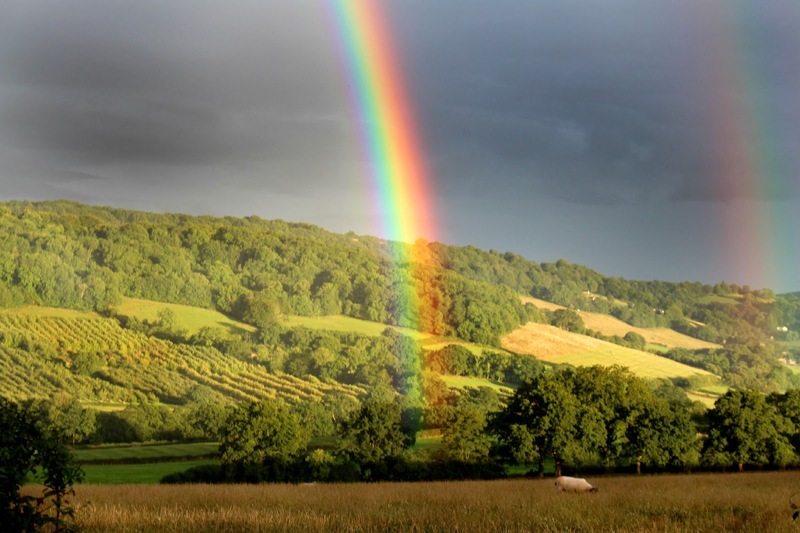 I hope you've enjoyed this post lovelies and don't worry I will be back with my lipstick rambles very soon ha ha :) In the mean time I'm off to find my pot of gold. Hope you're all doing really well? It's been a long old week for me and I'm not going to lie I've been feeling the pressure a little, so it's been nice to come home to some of my favourite NEOM products. 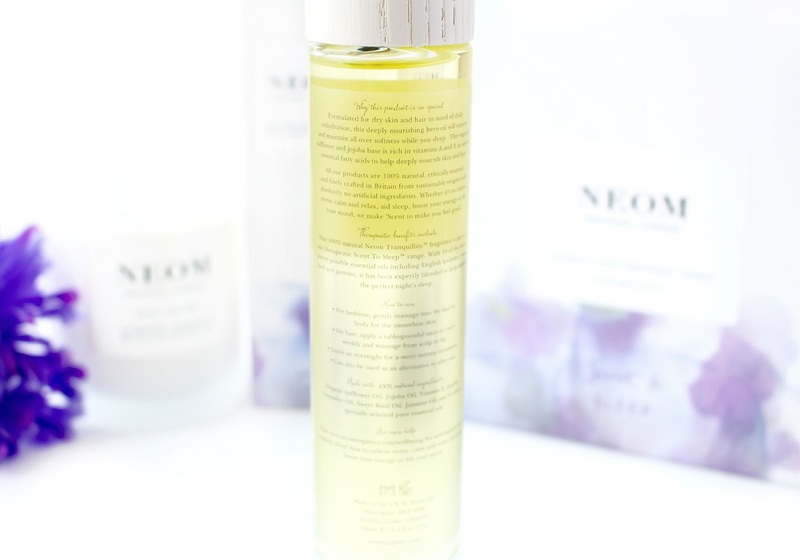 Now my regular readers will already know I love me some NEOM and I really really do. I recently purchased two products from the NEOM website, which i've been using most nights to de-stress me from my busy lifestyle. 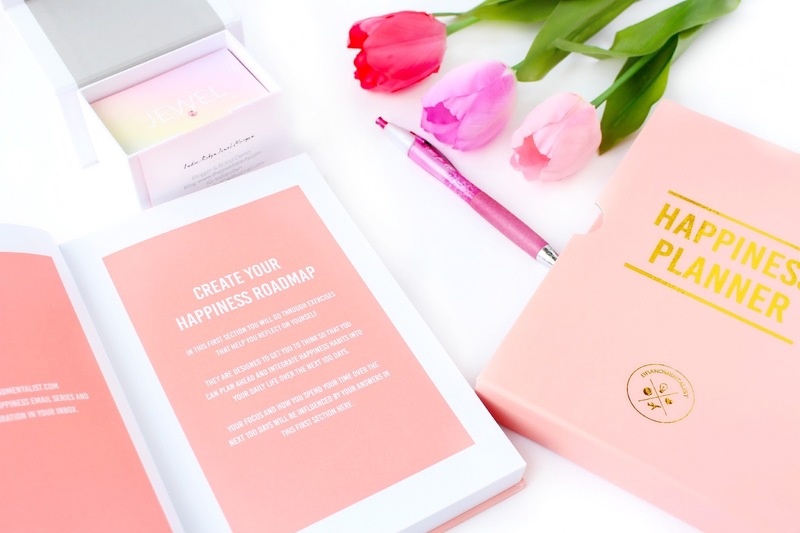 So, when I received a beautiful surprise gift from NEOM as you can imagine I was over the moon. 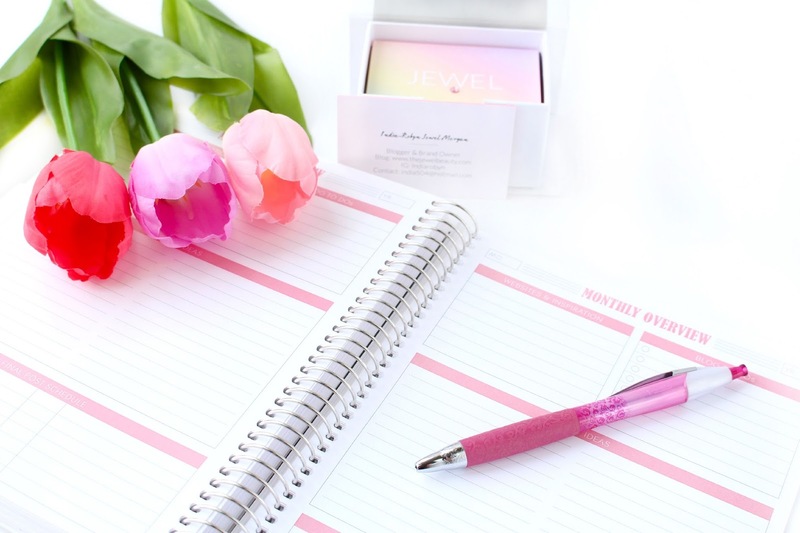 I've been using this product religiously the past two weeks and I couldn't wait to tell you more about it on the blog. I hope you enjoy this post lovelies and I would love to hear from you in the comments section below. If you would like to get in contact a little quicker then you can also use my social media icons just to the right hand side of my blog. There's no denying I'm a bit of a self-confessed NEOM addict, so when this little beauty landed on my doorstep I was super excited to say the least. I've always wondered if/when NEOM would release a product for the face, so I was over the moon when I seen that NEOM's latest addition was a multi-use product. If you've tried NEOM before then you are probably aware that their scent range is just incredible... not only do their products smell good, they make you feel good which for me makes NEOM such a credible brand. The Night Repair Oil contains Organic safflflower, jojoba, lavender, sweet basil, jasmine and an amazing 16 additional essential oils, all carefully chosen to induce sleep and nourish your skin, hair and body at the same time. If you're a lover of Lavender or generally relaxing scents this will totally work for you especially as NEOM use English lavender which is traditionally cleaner and more floral smelling than French lavender. The addition of sweet basil and jasmine also help to make this a deeply relaxing scent, perfect for winding down after a busy day. I've been using this product two times a week as an overnight facial oil and once a week as a hair treat and it's safe to say I'm in love. I really like the way that NEOM create products not only to use on your body, but products that have beautiful therapeutic benefits. Lavender is fantastic for troublesome skin and I find that after sleeping with this on my face I wake up with really smooth and balanced skin with no excess oil around my nose, which is something I tend to suffer with especially in the summer. I also love the way that it works to nourish my scalp and lengths of my hair, which is great as sometimes my hair can get a little coarse if I don't use a nourishing treatment one a week. 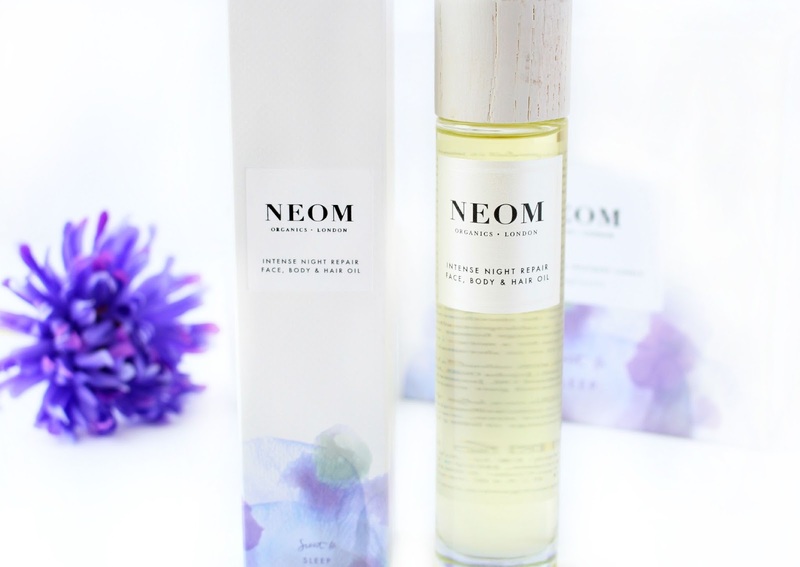 All NEOM products are 100% natural, ethically sourced and created in Britain with no artificial ingredients. In terms of the packaging I think NEOM are pretty on point with the slim, luxurious but modern glass packaging. I absolutely love displaying NEOM products around my bedroom and in my bathroom, so this is a great addition. I do think it would be nice to have a pump with this product, as I'm scared one day I will come home stressed and get a little over excited and pour out way to much... The thought of wasting this beautiful product is not pleasant. 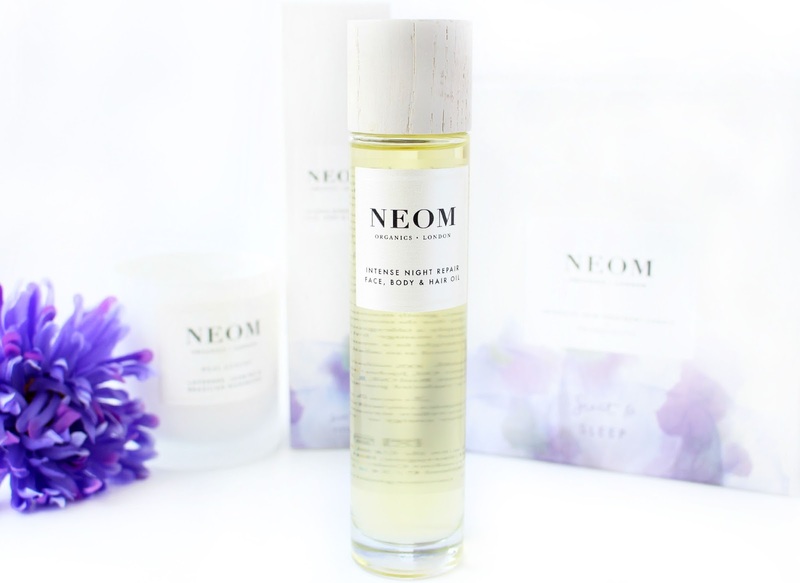 Overall, I adore the NEOM Intense Night Repair Face, Body & Hair Oil and think it would make a great treat. NEOM also do this product in other scents, which can be found here I quite fancy giving the ' Daily Boost -Wild Mint and Madarin' a go too! What do you think? I would love to hear your thoughts on this product lovelies, do you think it's something that you would like to try? Hope you're all doing really well and that you're all having a great Sunday? I must admit I love a Sunday. I used to really dislike them and always felt a horrible nervous tension about the week ahead, which I suppose comes from wishing I had more time of ha ha! However, now Sunday's are for blogging, visiting my beautiful little niece Honey, Good food and of course Sunday's are for relaxing! 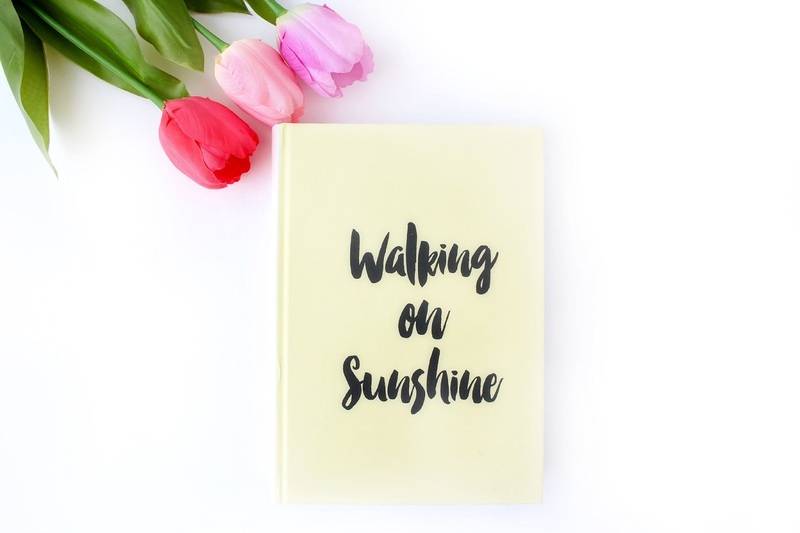 You might have noticed that I have had a little blog change around and I really love it. I still have a few more idea's and plans for my blog, but they will come at a later date. I'm thinking of a whole new re-vamp for 2016! 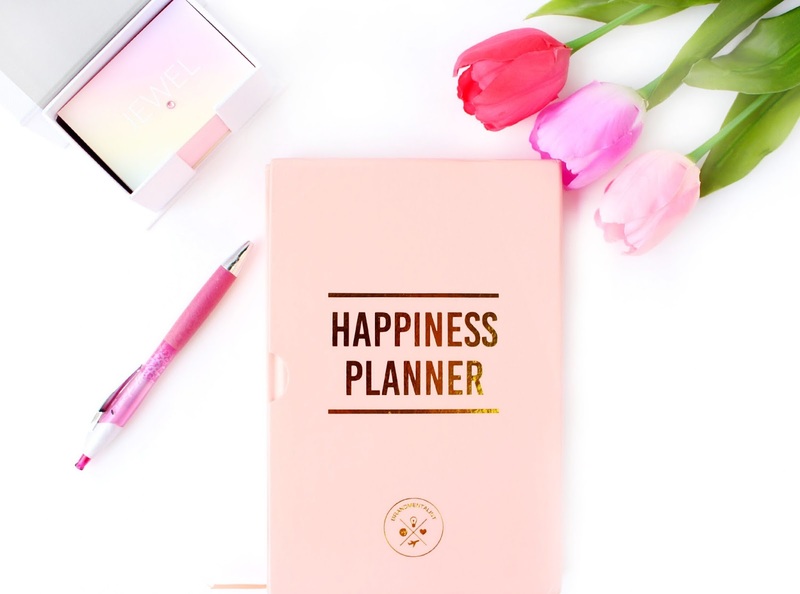 I love my little blog SO much and I'm looking forward to what is ahead for both myself and of course you lovely lot! Something really lovely and very humbling happened to me today as well, whilst I was shopping in Waitrose. A lovely girl actually recognised me and told me that she followed my blog. It was such a lovely surprise and really made me realise how much I love blogging and to be recognised for doing something I truly love was just amazing. If you're the girl that stopped me today then please get in contact, I would love to have a chat! - Anyway my lovelies... Today's post is going to be about my brand new business cards from MOO and I absolutely love them. I hope you like them as much as I do and I would love to hear from you in the comments section below. You can also use my social media icons to get in contact a little quicker! 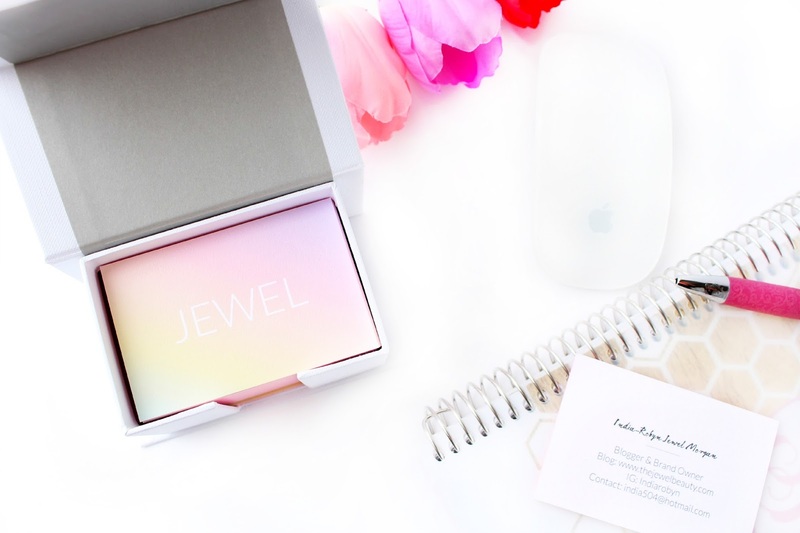 I've never had a pack of business cards that I have felt super confident about and half the time I find that I order them, but very rarely use them (I forget to put them in my purse half the time ha ha!) 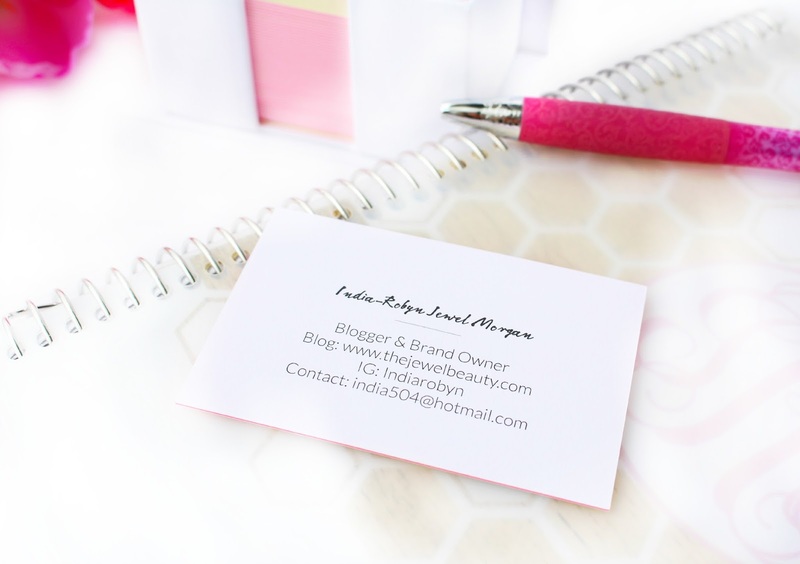 Recently, I've seen quite a pick up in my blog and I've been getting more and more event invites and interest, so I thought it was about time I upped my game and got myself some new business/blogger cards. I've also recently purchased a domain for my blog, which I'm really excited about.. so it was a good time to invest in some new business cards. I've used Vista Print and Zazzle before, but I've always quite fancied trying out MOO.. so I decided to see what they had to offer. 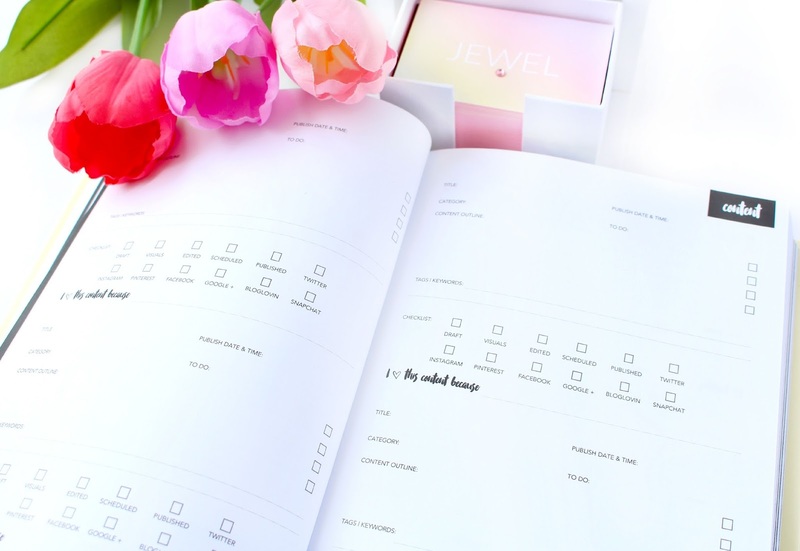 I love the MOO website and find it to be very well structured with plenty of design options and also the opportunity to completely design your own business card. I find Vista Print to be quite confusing sometimes and I normally end up with way more in my basket than I actually wanted, pens, mugs, t-shirts.. you name it Ha! I decided to go with the 'initially' design, as I loved the colour gradient, which I thought was quite in-keeping with my overall theme. 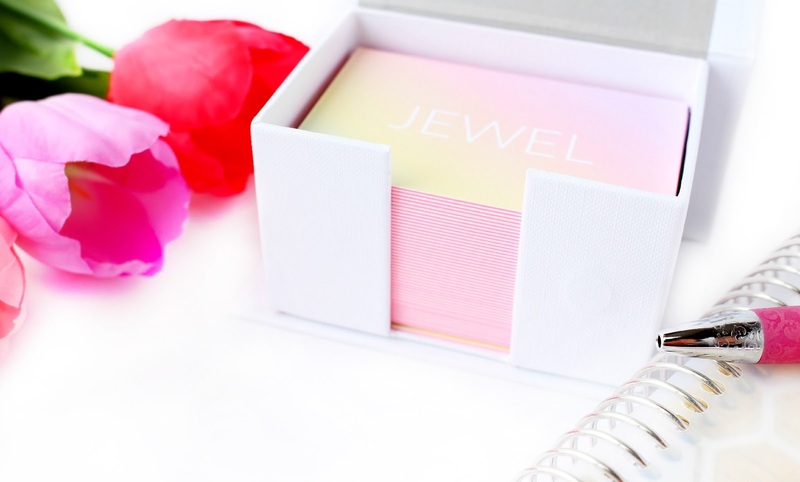 I decided to go with 'JEWEL' on the front of the cards, as it's my middle name and obviously a huge part of my blog branding.. so I thought that it would be a good idea to have it at the forefront of my design. I also decided to go for the minimum amount of cards this time (50) but I upped the quality big time and went for their luxe cards with a 'Pink' fill, which I think really helps to set these cards apart. I also went for 600gsm which is quite thick as you can probably see, but they feel so durable and I love the fact they don't bend or get distorted. I did pay £32.99, which is pretty pricey, but I wanted to go for quality over quantity this time and I'm really glad I did. Despite only ordering 50 I do think they will last me a little while, as I will only give them out selectively. On the reverse side I included all of the relevant details, but I opted for a handwriting styled font for my name, which adds a touch of personality to them. 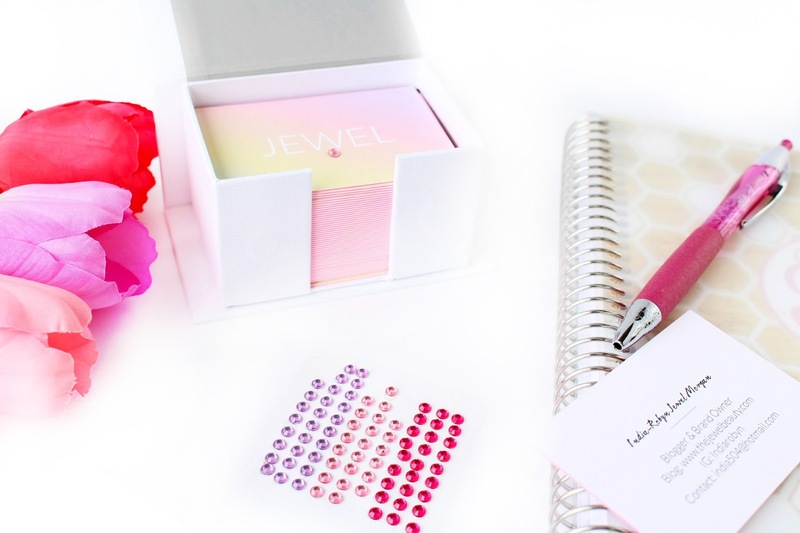 I also decided to get even more creative and purchased some cute pre-glued jewels to add to my business cards when I hand them out. Overall, I'm really pleased with my order and feel happy at last with these beautiful new business cards. I think when I run out I may look at a more cost effective option, as this spec gets pretty pricey after (250). However, MOO have so many options and I will definitely go back to them when I'm ready for some more. I'm also super impressed by how the cards were packaged from MOO. The box they arrived in is really high quality and there was even a little wax stamp saying that they had been freshly printed, which was a nice touch. If you're in a rush MOO can deliver next day which is awesome, but I decided to stick with the normal delivery which took around a week to arrive. I hope you enjoyed this review lovelies and I would love to hear your thoughts on my new cards below. Have you ever used MOO? 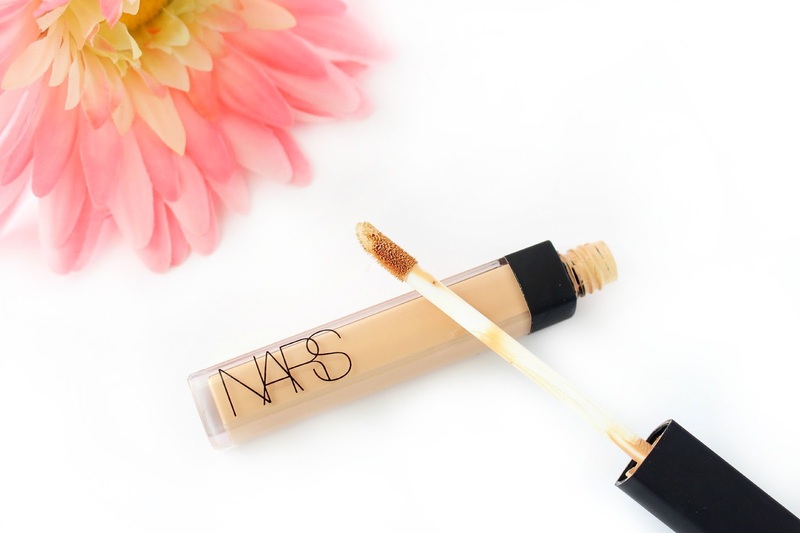 It took me a while to purchase this concealer as I have quite a few concealer’s that I love and that I needed to use up, so even though I lusted after this for what seems like years… I actually never really needed it. A little while ago I had a full makeover at my local NARS counter for wedding, which was amazing! And I decided to pick up a few goodies whilst I was there. 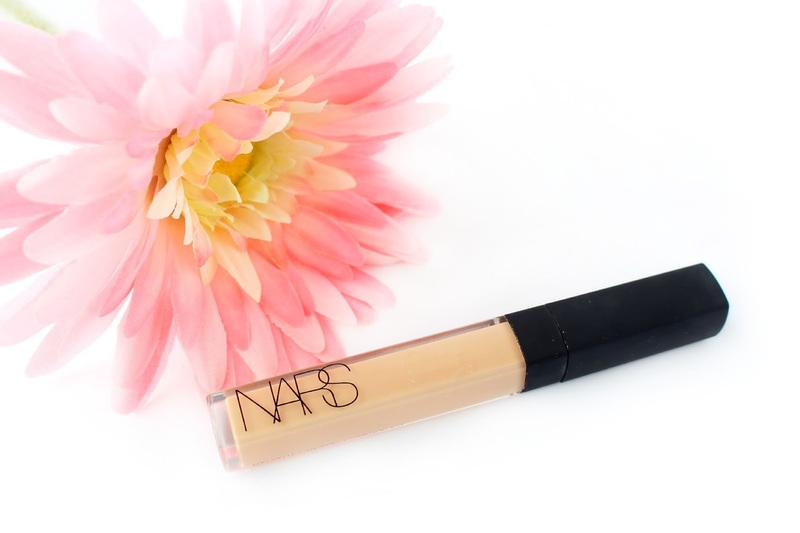 The NARS Creamy Concealer has serious HG status in the beauty world and I’ve really enjoyed using it. 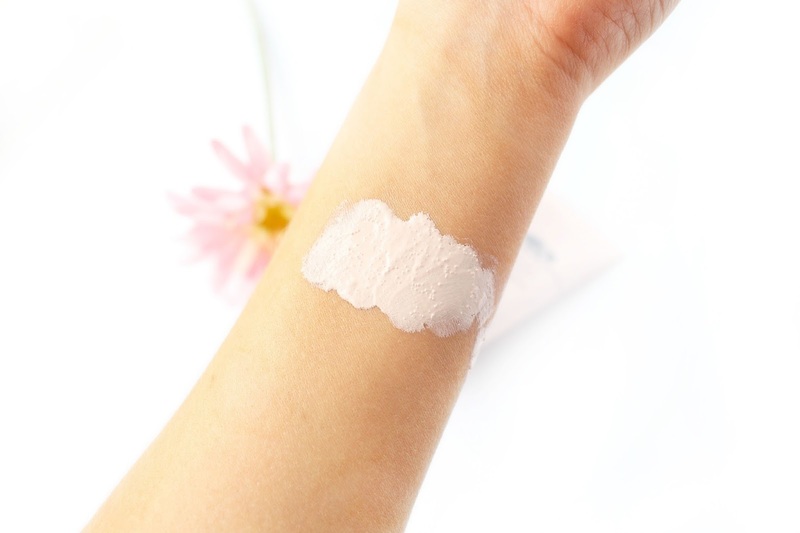 It’s definitely a step up in the coverage department and I’ve noticed quite a big difference between blending this and my Clarins Instant Concealer, which is a lot more fluid. I love the way it pretty much covers up every under-eye problem and the fact that it’s got good enough coverage to be used all over my face… It really can do everything and it’s a must when I’m creating a flawless look. It's light diffusing and hydrating properties also make it pretty comfortable to wear considering it offers a medium/full coverage. The shade I have is called 'Custard' which is a yellow toned shade perfect for light to medium complexions. I find this shade light enough to brighten my under-eye area, but not to light to use it all over my face with my foundation.. It really is a fantastic shade! However, I must admit even though I use it on a daily basis I’m not sure if I will re-purchase, as I do find it ever so slightly uncomfortable/drying even though it’s a lot more comfortable than MAC Pro Longwear! In terms of the product overall I adore the packaging and I always prefer this style, especially for travelling. I also love how it covers up a multitude of sins without looking super cakey. However, I have a feeling that I could find a pretty good dupe for this in boots and after having a quick scan across the Internet I’ve already found a few potential dupes to pick up and try. I’m currently half way through using this concealer and I’m more than happy to have it in my collection, but I think when it runs out I may look to boots for a cheaper option or maybe the new concealer from Urban Decay! I would love to hear your thoughts on my review… Have you tried this concealer and does it have HG status for you? Hope you're all doing well? I can't get over how nice the weather has turned out today and I've been making the most of it... despite my day not going quite as planned. I never used to be that into perfume when I was younger and only had a select few on my dressing table. Then I somehow turned into a serial perfume hoarder and now I just can't stop spraying and spritzing throughout the day... someone I work with actually told me I made the office smell like Debenhams (Surely that's a good thing?) Ha! Anyway lovelies, I thought it was about time I shared my new love for the 'Estee Lauder Bronze Goddess Perfume' which I have been totally obsessed by this summer. I would love to hear from you in the comments section below, but you can also use my social media icons to the right hand side if you would like to get in contact a little quicker. If a holiday could be bottled I'm 99% sure that this would be the fragrance. It makes me think of a dreamy beach holiday with soft sands, gentle waves and I can totally imagine sipping on a fresh coconut too. Yes this skin scent is like sensory overload, especially if you like Vanilla and Coconut scents. I'm pretty surprised that I haven't already tried this, but for some reason it has escaped me! I love everything about this fragrance and if Bergamot, Amber, Tiare Flower, Vanilla and creamy Coconut are your kinda scents... then you really need to invest. A few people have said that it reminds them a little of sunscreen, but the only one I can think of that comes close is Hawaiian Tropic, which I also love the smell of to be honest. However, I wouldn't really compare this to smelling like sunscreen from a personal point of view. The Coconut, Vanilla, Bergamot and Amber make it into a total blanket of goodness and for me this has become a total summer must have. It's pretty pricey at £47.00 but you are getting 100ml of product, which should last you ages and of course you are getting a beautiful summery scent and gorgeous packaging too. Bronze Goddess is limited edition, but as far as I can see there are still a few left on House of Fraser which I have linked above. I hope you've enjoyed this post lovelies and I would love to know your thoughts... do you adore this fragrance or can you take it or leave it? Hope you have all had a good weekend so far? 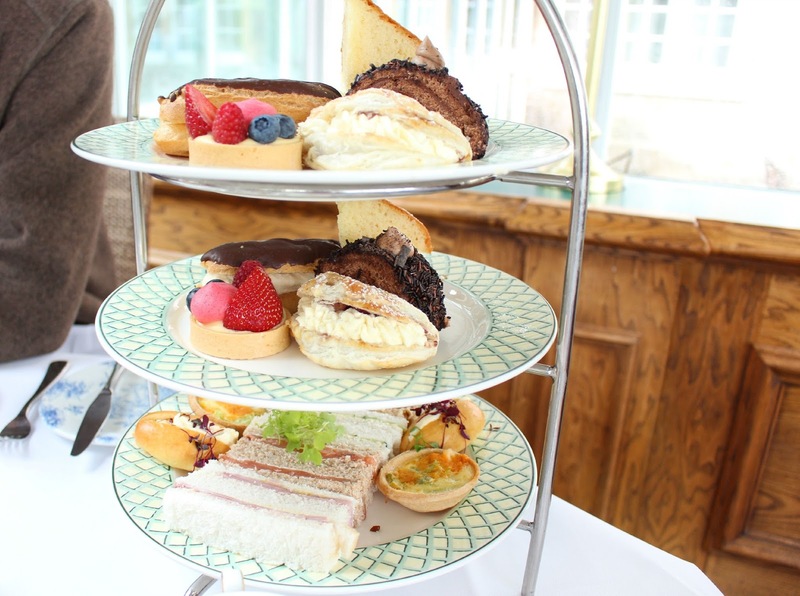 Last Sunday I was lucky enough to visit the Celtic Manor located within the beautiful Usk Valley to sample the new Vintage Afternoon Tea menu along with my boyfriend, sister and her partner. It was a fantastic day full of laughs and tasty treats, which I couldn't wait to blog about. I've always been a bit of a foodie at heart and there is nothing more I love than a little impromptu celebration with good food and drink and it's safe to say that last Sunday was no ordinary Sunday... It was the tastiest one yet! (Sorry cooked dinner - I prefer cakes) I hope you enjoy this post lovelies and I would love to hear from you in the comments section below. You can also use my social media icons to the right hand side if you would like to get in contact a little quicker! 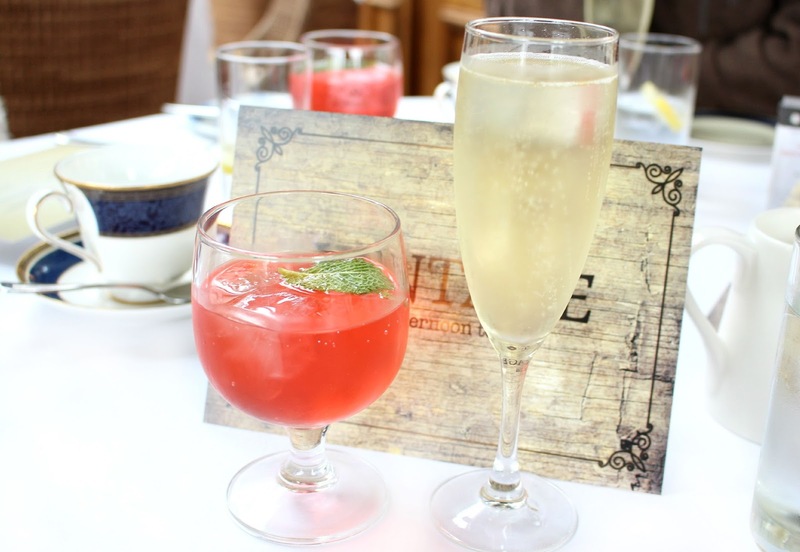 Afternoon tea is a perfect treat for so many reasons, so I was really excited to review the fabulous new Vintage Afternoon Tea at the Celtic Manor. If you're not already aware then the Celtic Manor is a world renowned 5* Resort which definitely packs a punch when it comes to its many accolades. 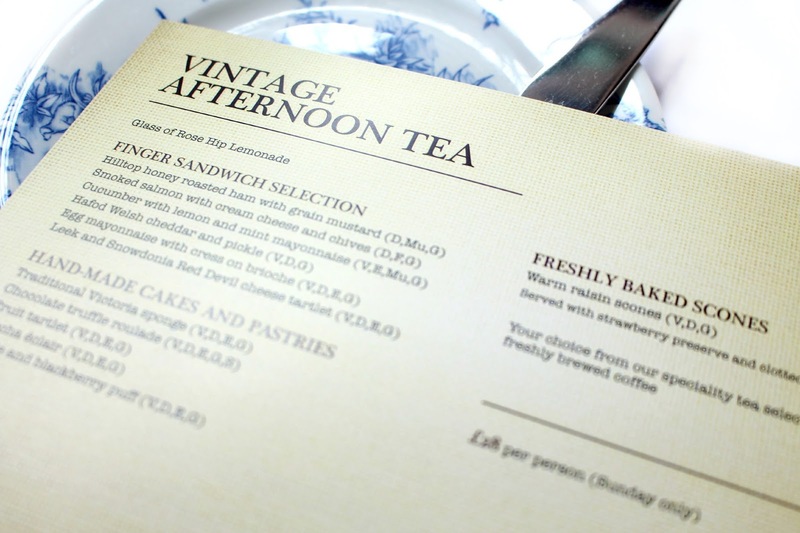 I was kindly invited to sample the new vintage afternoon tea along with three guests and it's fair to say it didn't disappoint. 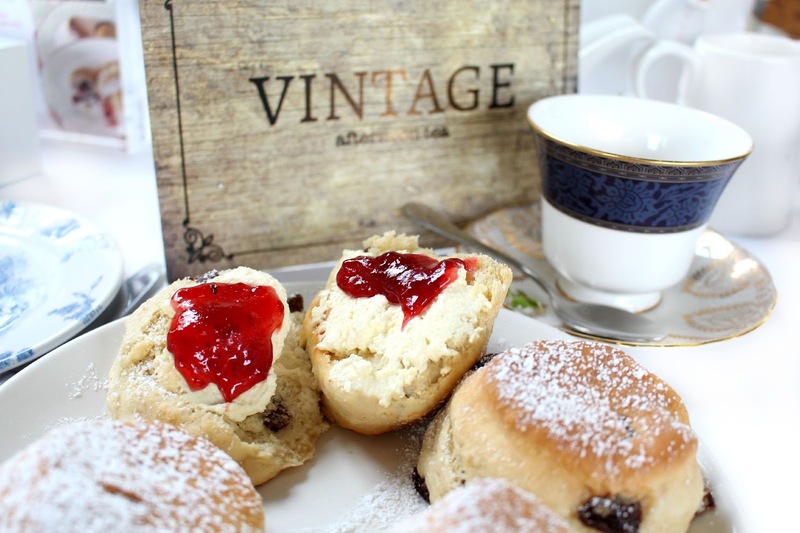 The Celtic Manor has a range of fabulous afternoon teas which can be found here However, the Vintage Afternoon Tea is served within the historic manor house, which of course is the perfect setting for a more rustic tea. My oldest sister was actually born at the Manor House, which was originally the Lydia Beynon Maternity Hospital back in the 1940s, so it was nice to talk about a bit of family history too! 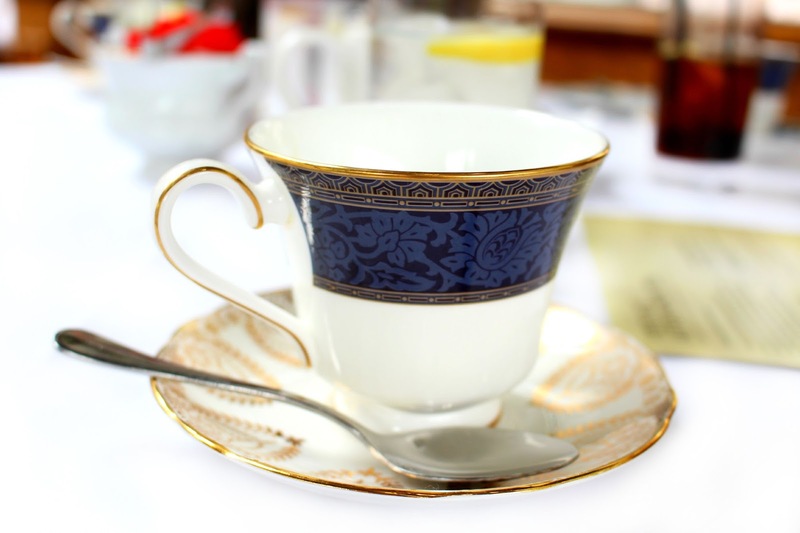 As soon as we were seated I instantly fell in love with the intricate detailing on the beautiful chinaware, which was the perfect way to set the scene before the afternoon tea delights started to arrive at the table. Firstly, we were served a glass of Rose Hip Lemonade which was beautifully fragrant and one of my favourite parts of the Afternoon Tea. We also had a glass of prosecco each, which I always find is a great way to accompany a little impromptu celebration. After a few laughs and a good old chit chat two beautiful tiers arrived at our table full of delicate finger sandwiches and an array of delicious hand-made cakes and pastries. My particular favourites from the savoury selection were the Cucumber with lemon and mint mayonnaise and the Egg mayonnaise with cress brioche, which tasted fantastic. The selection of Hand-Made cakes was also very impressive and the traditional Victoria sponge was a dream as well as being very in-keeping with the vintage theme of the afternoon tea. 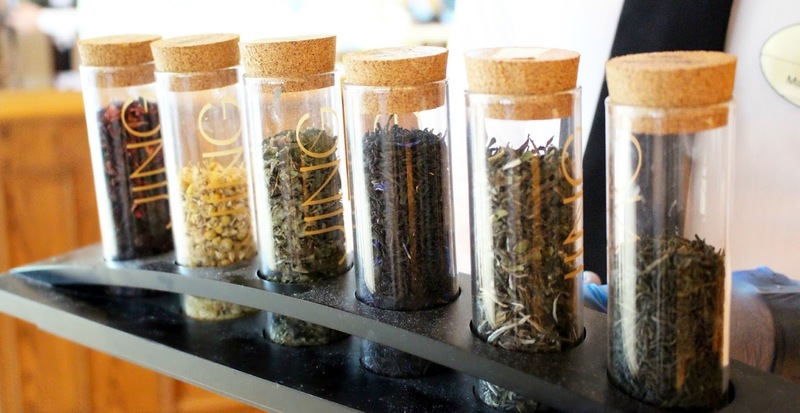 Whilst we were all devouring our delicious savouries and pastries we were also served a selection of wonderful loose leaf teas, which was a lovely addition to the overall experience. My sister and I both opted for the peppermint tea which was very soothing after eating so many sweet treats. Both of our partners opted for the Blackberry tea, which they also really enjoyed. I honestly didn’t think the afternoon could have got anymore delicious but it did. We were then served Freshly Baked warm raisin Scones with strawberry preserve and clotted cream. We did a pretty good job of finishing off the majority of our food, but we did have a few left over cakes, which we took home to our parents. Put it this way they weren’t left overs for long! My sister’s partner couldn’t believe we were still getting more food… We just didn’t stop eating. There was also some pretty cool vintage music playing softly in the background, which made it an even more enjoyable experience. 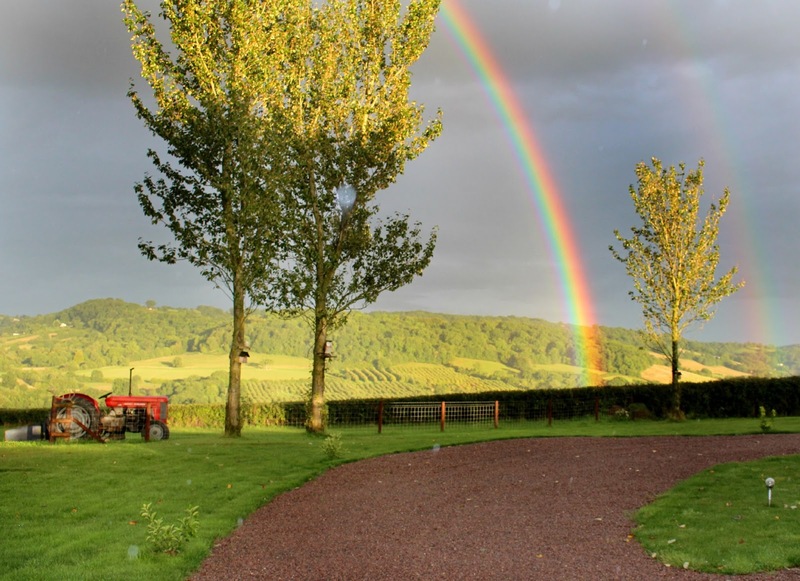 Overall, the service was fantastic and for £28 per person it was a fantastic experience. There was SO much food, which left us feeling more than satisfied. 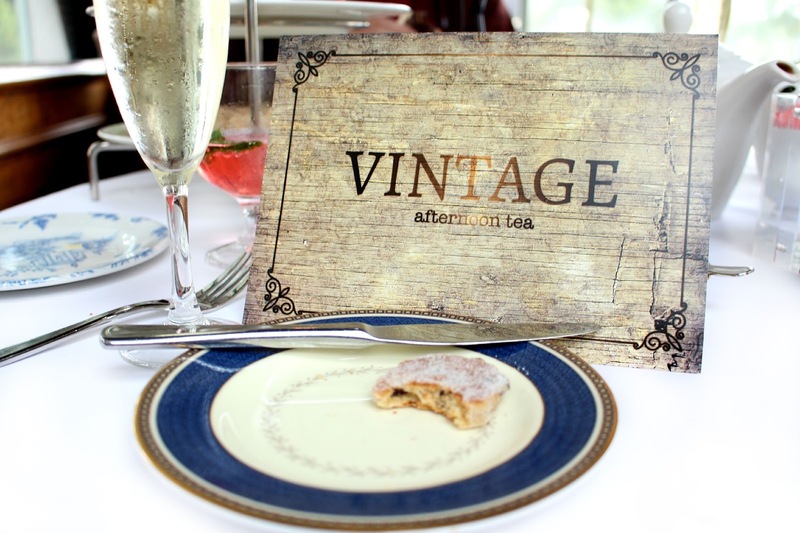 I personally really enjoyed the Vintage Afternoon Tea situated within the Manor House... It's a real hidden gem! I'm already planning to book in again, especially as editing this post has made me feel super hungry looking at all the delicious pictures again ha! There was really nothing to fault apart from the fact that I could have eaten like 10 more of the egg mayo brioches, as they were so delicious! 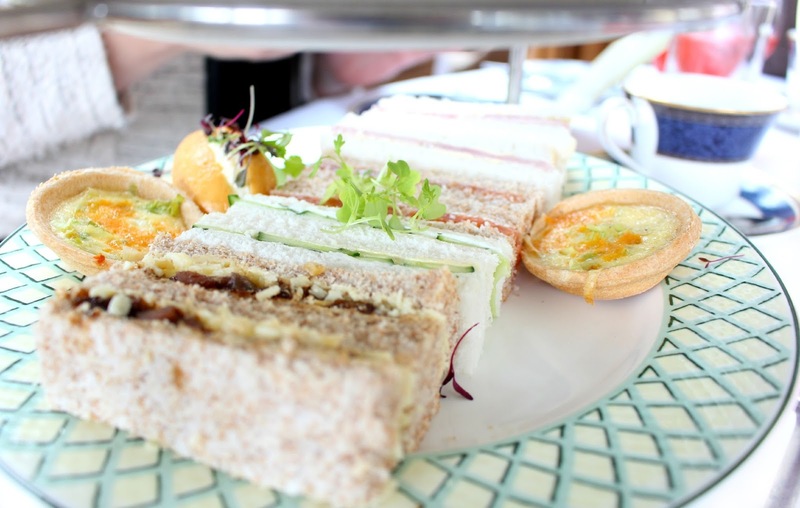 I would love to hear your thoughts on this post in the comments section below - Do you agree that Afternoon Tea is a great way to celebrate?